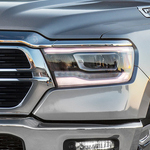 Advanced aerodynamic features in the Ram 1500 include Active Grille Shutters that stay open at low speeds but shut down at high speeds to minimize drag. 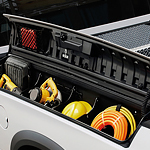 Add the RamBox® Cargo Management System and you get two lockable storage bins with easy drainage as wells a 115-volt power outlet and access using the key fob. 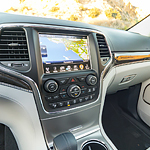 The Jeep Grand Cherokee enhances your road trips with plenty of luxury through the use of high-quality fabrics, premium materials, and intricate details. The Trailhawk® trim, for example, comes with leather and suede-trimmed performance seats that hold you in place through suede bolsters. Wood inlays beautify the dashboard while red stitching accents the seats, doors, and console. 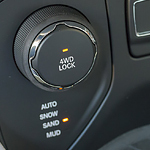 When analyzing the off-road capabilities of a modern Sport Utility Vehicle, you have to evaluate several important components. Qualifying for the Trail Rated nomination, the Jeep Renegade performs well in five distinct categories. When searching for a compact SUV, you want to find something that is both popular and unique. 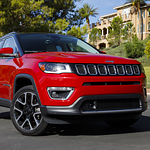 The Compass from Jeep has a special exterior design that will help you feel good as you make your way down the streets. You can make your Compass as special as you want it to be by adding exterior extras such as the available chrome detail. The rear lighting on this compact SUV helps it to stand out while also helping it show up. They are stylish and also functional. When you are driving down the road you want to be able to rely on the safety of your vehicle. 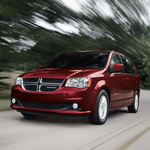 The Dodge Grand Caravan is designed with safety in mind both inside and out. On the inside you get all those great features like air bags throughout, but on the exterior you will find details like Quad halogen headlamps and fog lights. LED tail lamps will keep you visible to other people that are on the road with you as well. When choosing a mid-size sedan, you look for on that is popular and also one that has all of the latest features. 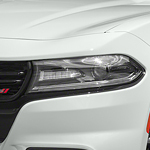 The Dodge Charger is a popular vehicle choice and it is set up with the kind of technology that you want. There are so many new features that are always being added to new makes and models of vehicles. It can be hard to keep up with everything going on in the industry. If you are overwhelmed with all of the choices that you have in front of you, but know the basics of what you are looking for. Stop down to Gene Steffy Chrysler Jeep Dodge RAM today. One of our knowledgeable staff members can assist you with picking out a vehicle that will meet all of your requirements. What’s inside your Ram 2500? When you’re heading to the worksite or on your way home, you depend on your truck’s interior to work as hard as the rest of the vehicle. We here at Gene Steffy Chrysler Jeep Dodge RAM understand that each driver’s needs are different and can help you find a truck that fits you. Take a look at the Ram 2500, this popular heavy-duty pickup truck’s interior is designed to adapt. It offers versatile seating options along with storage areas to make sure that you have everything for the job at hand. Your investment in the Ram ProMaster as a business asset is guarded by a five-year or 60,000-mile limited warranty on the powertrain and a three-year or 36,000-mile basic limited warranty. The cost of maintaining this durable vehicle goes down when you have to change the oil only every 10,000 miles. 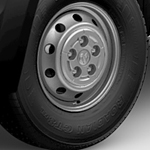 On antilock brake system ensures more solid stops by preventing the wheels from locking and causing the van to skid uncontrollably.